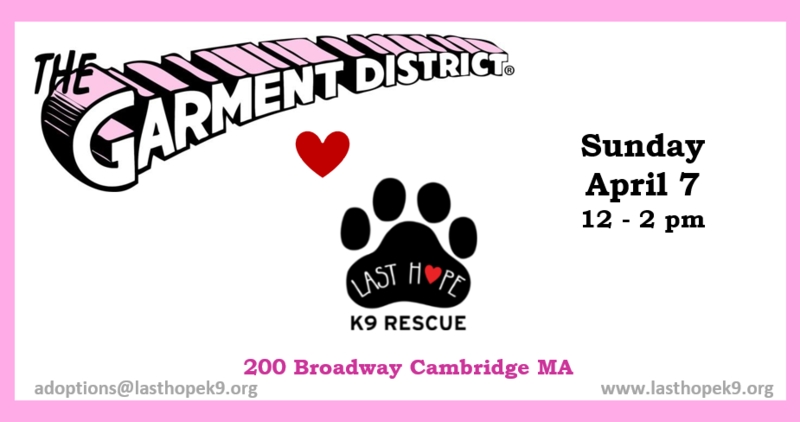 « York Ford & LHK9 Adoption Event! *Please note applications need to be submitted on our website prior to the event if you wish to put a deposit on a dog. Deposits can only be done in person at events. * We have a spring series of events at Garment District and we are excited to be back on Sunday April 7th from 12-2pm! Come on up to the flannel shirts on the second floor to check out our hip pupsters and meet your new best friend! And don’t forget to check out the store before you leave!